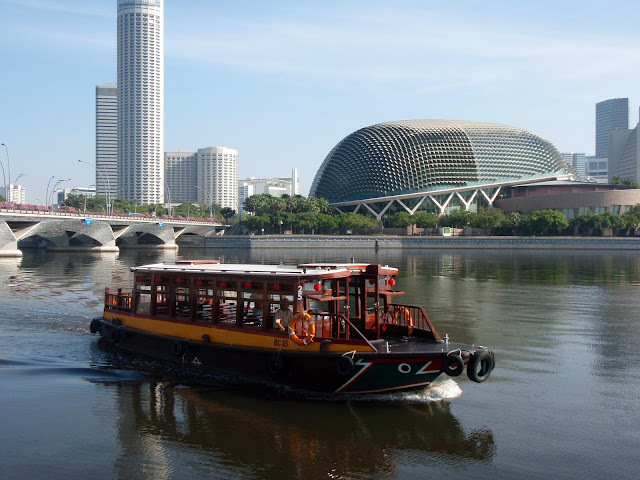 A tourist boat sails from Singapore River to Marina Bay. Beyond it is the Esplanade on the right, and The Stamford on the left. The 226-meter Stamford was designed by I.M. Pei, and is one of Southeast Asia's tallest hotels.